FRAMINGHAM, Mass. February 27, 2018 – According to the International Data Corporation (IDC) Worldwide Quarterly Mobile Phone Tracker, worldwide smartphone shipments declined 0.5% in 2017, the first year-over-year decline the market has experienced since the introduction of what we now know as smartphones. Smartphone companies shipped a total of 1.46 billion devices in 2017 with nearly all of that volume running either the Android or iOS platforms. 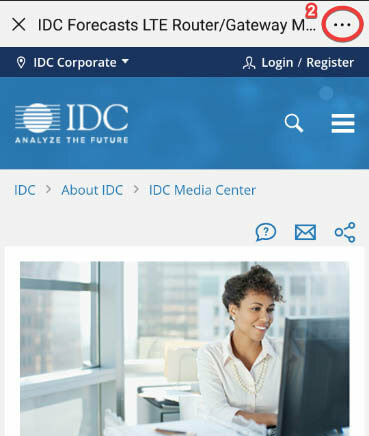 Looking forward, IDC expects shipment volumes to return to low single-digit growth in 2018 and the overall market to experience a compound annual growth rate (CAGR) of 2.8% over the 2017-2022 forecast period with volumes forecast to reach 1.68 billion units in 2022. 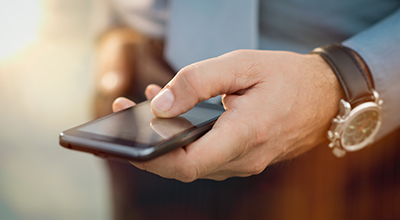 "2017 turned out to be the year we all knew would eventually come – when smartphone volumes finally experienced a contraction," said Ryan Reith, program vice president with IDC's Worldwide Quarterly Mobile Device Trackers. "That fact that China alone declined almost 5% in 2017 was a huge factor for why global volumes fell, but EMEA also declined 3.5%, and the U.S. market was flat. In our opinion, areas for growth have not changed. Developing markets still have plenty of room for buildout, led by first-time buyers. And the premium space will continue to represent roughly 20% of the market. However, competition will continue to tighten and consolidation is inevitable." Design innovation continues to be a focal point of the industry, yet technology advances are becoming less about tangible hardware aesthetics and more about components and software. This shift makes differentiation a challenge, especially as the entire industry is sprinting towards bigger screens and smaller bezels. IDC expects 2018 to be the year when phablets outship regular smartphones, essentially ending the race for bigger screens. Big differences in quality and display type still exist, but the average consumer will continue to struggle to understand these differences. So, what’s next? 5G momentum is in full swing and device OEMs, component suppliers, telcos, and services companies are all looking to capitalize. IDC expects commercial 5G smartphones to hit the market in 2019, ramping up to account for roughly 18% of worldwide shipments by 2022. 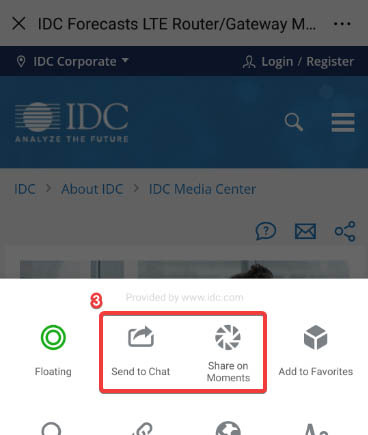 “To keep up with the increasing demand for the new AI, AR/VR, contextually aware, and 5G functionalities headed to the market, we expect growth to come from improvements in overall core functions in the near term," said Anthony Scarsella, research manager with IDC's Worldwide Quarterly Mobile Phone Tracker. "Improvements in speed, power, battery life, and general performance will be critical in driving growth at a worldwide level as the smartphone evolves into a true all-in-one tool. Although these types of improvements seem to arrive each year, delivering it more affordably will carry even greater significance to consumers as many highly competitive emerging markets remain crucial in driving growth throughout the forecast period." Android: Volumes were essentially flat in 2017, with OEMs shipping a total of 1.24 billion handsets running Google's OS. After years of vendors customizing Android's OS to put their UI spin on things, we are finally hitting a point where everyone is pivoting back to stock Android. This is an initiative that Google has been pushing for quite some time as the standardization on software can bring faster updates, minimize consumer confusion, and potentially allow Google to gain back some control of the platform. The biggest change for Android devices in 2017 was that average selling prices (ASPs) grew for the first time since 2010. This is largely due to the low-end players migrating their portfolios upstream toward mid-tier pricing. Consumers have gone along with this trend, although many low-end buyers have grown increasingly frustrated with the poor battery and performance issues experienced on the device after just months of use. iOS: Coming off of the first year-over-year decline in iPhone shipments in 2016, Apple returned to growth in 2017 albeit only 0.2%. Apple shipped 215.8 million iPhones in 2017 with 64% of those coming from 'Plus'-size iPhones (including the X). The shift to bigger, more expensive devices has allowed Apple to continue to grow its ASPs while simlutaneously facing the challenges of growing its shipment volumes. IDC expects iPhone shipments to grow 3.7% to 223.8 million units in 2018 and reaching 242.4 million in 2022. Overall iPhone volumes are expected to grow at a five-year CAGR of 2.4%. Apple will continue to experience challenges breaking into some of the remaining high-growth developing markets, but there is no question they are far from being pushed out of the premium market segment. Apple continues to build out its device upgrade program, a move IDC believes could be a catalyst to support growth over the next five years. * Table Note: 2022 figures are forecast projections.